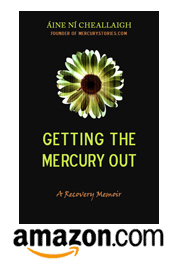 When I started to write about mercury poisoning, I had been detoxing mercury for quite a while. I had been faithfully following the chelation instructions laid out by Andy Cutler in his book Amalgam Illness and I knew that the information in this book was the best currently available anywhere in the world. But when I started to write, setting myself little challenges like, “Write a clear and easy-to-understand intro to how mercury poisons the body,” I was left at a total loss. I turned to Amalgam Illness, looking for the chapter I must have overlooked that would make it all clear, but I couldn’t find it. Instead, I came to the sinking realization that I basically didn’t understand much of anything Cutler said in the first 50 pages of the book. I was a math girl, I’d studied physics, electronics, computer programming. Biology was greek to me. I decided it was time to call in an expert. Me: So the Krebs cycle he keeps talking about. Is it like oxygen moving from the lungs to somewhere else in the body? Her: No no no. It’s something that takes place all over the body, in the mitochondria. Her: Inside each cell there are these tiny bodies called mitochondria, and they are responsible for making all of the energy your whole body uses. the Krebs cycle is part of that energy-generating process. She invariably drew wiggly little bodies and dots inside cells as she spoke, and over the weeks, a beautiful and sophisticated model of the human body grew in my mind. It wasn’t just food-in, waste-out, blood-and-bone-and-oxygen. It involved delicate chemical processes happening in every cell, driven by the tiniest, most precise organic machines. The human body was so beautiful and mysterious and elegant on a cellular and molecular level. And every paragraph of Amalgam Illness we decoded listed another way in which mercury was destroying that beauty. Now that I could really SEE cell membranes, I understood what it meant that mercury stuck to them. And enzymes? They weren’t just in my digestive tract breaking down food, there were thousands of different kinds of them. They were the driving force behind every elegant chemical process inside me. And what was one of mercury’s top ways of poisoning the body? It was an enzyme inhibitor. Of course it was. One of the things that really helped me grasp this more sophisticated model of how the body worked was the textbook Biology by Campbell and Reece, an older edition of which I picked up for a song online. (If this looks too intense, maybe check out Biology Demystified by Dale Layman). great post! i too glaze over when someone tries to explain to me what goes on in a cell, even though it is incredibly amazing stuff. my memory just can’t hold on to the info. but it will one day soon! loved the mitochondria video too. Biology Demystified by Dale Layman is a wonderful book for the, er, poet type. I barely passed biology in ninth grade and made sure I went to a college where biology was not required, but a few years ago this book opened up a whole new world to me. I highly recommend it. Just watch out for the chapter on fish, which has some errors, the kind even I could catch.